Here at X10 Archery, we can set up, tune, maintain, and service almost any recurve or compound bow. Every member of our team is a title holding competitive archer. That means we personally know what works, and what doesn't. We think outside the box, know how to adapt and have the knowledge, tools and resources to do almost anything when it comes to archery equipment. It might cost a little more than the big box stores, but we guarantee our work will be of top quality, from a bow tech who is passionate about archery. We think you'll agree that you won't find a better level of customer service than here at X10 Archery. Email john@x10archery, or call our man of many talents, John Williams, on 281.888.5900, or visit the store to talk about your bow tech or string building options. "On my recent trip to the Houston/Sugarland area I had the pleasure of meeting and training friends at X10 Archery. While there we needed several new recurve bowstrings and found that resident tech John Williams made an excellent string – better than I can make. My hat is off to John and I give him an A+ on his product. I urge anyone who needs a bowstring to give John a call." "I visited and shot at X10 archery for a couple of months while in Houston. I've been shooting Archery since 1969 and I just have to say they do more for archery than any shop I have ever been in. Especially the young and beginners that are just getting started. They offer a complete line of equipment from Olympic style shooters to Hunters. You can be confident if you need repairs they are going to get you going and not rob you in the process. If you are ever in the Houston area, go by and see them. I'm going back in a few days and they will be at the top of my list. They will make you feel good about pro shops." 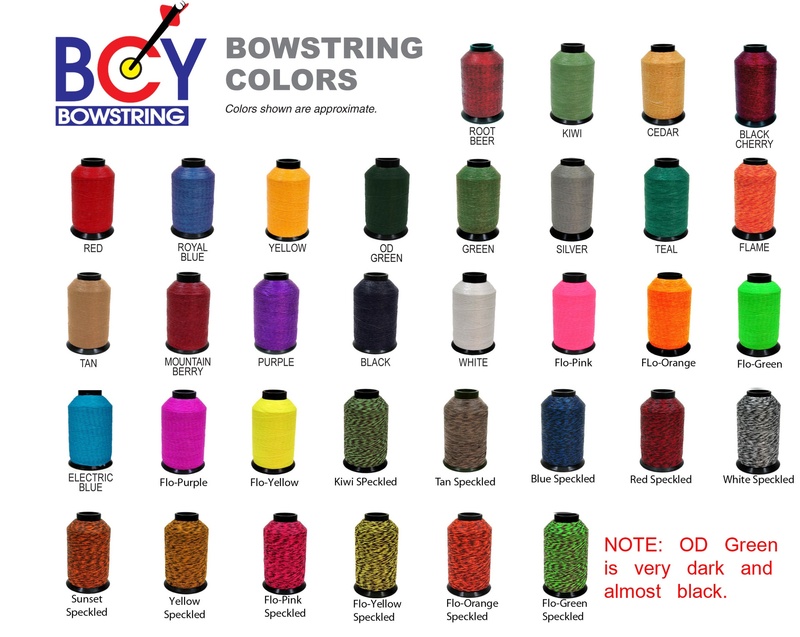 We only use BCY bowstring to build our custom recurve strings. Choose from a variety of color combinations. An X10 Archery custom string will be the best quality string you have ever owned. Order your custom string online.